Given the fact this blog is about public relations (well, most of the time) and published by a guy who holds the Accredited in Public Relations (APR) credential and writes under the PRDude moniker, I’ll bet you think the focus of today’s post (given the title) is on PRSA Ethics Month. That’s because other organizations have joined the Public Relations Society of America in dedicating a month to focus the spotlight on ethics. Want some examples? Here’s what a quick Google search revealed. The Institute of Real Estate Management (IREM) has designated September as Ethics Awareness Month, and its leadership encourages its 92 chapters to promote adherence to established standards for commercial property management. The International City/County Management Association gets a head start on the ethics front, dedicating March Ethics Awareness Month for its membership, comprised of professional city, town, and county managers. And, as reported in this English language newspaper fr0m the state of Jharkhand, India, the Tata Steel company celebrates ethics in July to commemorate the ethical standards of its founder. 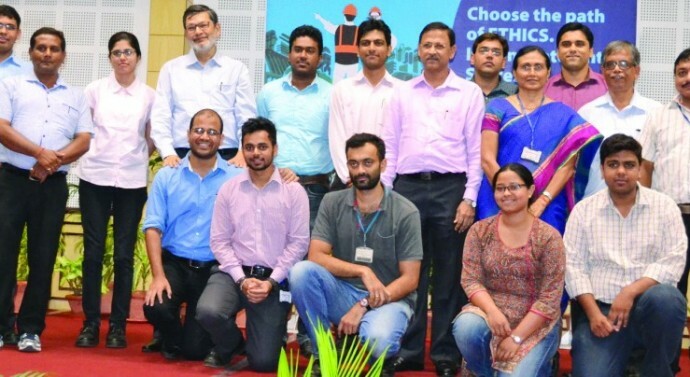 The team at Tata Steel holds an ethics celebration in July to honor its founder and the standards he established. I’m sure a more aggressive search would reveal many other examples of organizations and companies that recognize the value of ethics today. Elected Officials. Just think think of how much better our lives would be if every man and woman elected by voters to office would make decisions based on honesty and the public good, versus decisions driven by campaign contributions, party affiliation and political ideology. Wall Street. Yes, banks, exchanges and brokerages are in the business of making money. As evidenced over the years, sometimes ethical standards are tossed out the window like confetti, and greed and more greed drives financial practices that bash the little person. Everyone Online. That’s right. Every man, woman and child who communicates digitally should do so ethically and not cowardly, like the growing army of internet trolls masked by user name disguises. Who or what organization/company/body would you add to this list? Let me conclude this ethics-themed post with a link to the PRSA webpage that details accepted ethical standards for public relations professionals and a link to an Ethics Month Survey being undertaken by Marlene Neill, APR, PhD, a professor at Baylor University and a former colleague of mine on the Universal Accreditation Board. This entry was posted in Uncategorized and tagged Accredited in Public Relations, APR, breach of ethics, ethics, ethics in public relations, Institute of Real Estate Management, International City/County Management Association, public relations, Tata Steel. Bookmark the permalink.